Body weight stability requires homeostatic regulation to balance energy intake and energy expenditure. Research on this system and how it is affected by obesity has largely focused on the role of hypothalamic neurons as integrators of information about long-term fuel storage, short-term nutrient availability and metabolic demand. Recent studies have uncovered glial cells as additional contributors to energy balance regulation and obesity pathogenesis. Beginning with early work on leptin signalling in astrocytes, this area of research rapidly emerged after the discovery of hypothalamic inflammation and gliosis in obese rodents and humans. Current studies have revealed the involvement of a wide variety of glial cell types in the modulation of neuronal activity, regulation of hormone and nutrient availability, and participation in the physiological regulation of feeding behaviour. In addition, one glial type, microglia, has recently been implicated in susceptibility to diet-induced obesity. Together, these exciting new findings deepen our understanding of energy homeostasis regulation and raise the possibility of identifying novel mechanisms that contribute to the pathogenesis of obesity. The online version of this article (doi: 10.1007/s00125-016-4181-3) contains a slideset of the figures for download, which is available to authorised users. Obesity is a significant public health problem since it greatly increases the risk of highly morbid chronic diseases, including type 2 diabetes, hypertension, cardiovascular disease and many cancers. Since 1980, the worldwide prevalence of obesity has nearly doubled with Western countries leading the way. Currently, over half of adults in the European Union and two-thirds in the USA are overweight or obese (BMI >25 kg/m2). Nevertheless, in both lean and obese individuals, fat mass generally remains stable over long periods of time due to the homeostatic matching of energy intake and expenditure . Furthermore, body weight and adiposity are >50% attributable to inherited predisposition . Given that obesity has a strong genetic component and does not involve failure of energy homeostasis, how does an obesity epidemic arise? Currently, the leading hypothesis posits that environmental pressures of the modern world, such as the consumption of highly palatable diets, elevate the defended level of fat mass in susceptible individuals. Unfortunately, efforts to reverse this process pharmacologically have been largely met with failure because of our continued limited understanding of how diet and other environmental factors affect the neurocircuitry and molecular mediators of energy homeostasis. Despite great advances in this field since the discovery of the adiposity hormone, leptin, over 20 years ago , obesity pathogenesis remains an enigma perhaps in part because of the exclusive focus on the role of neurons in disease progression. In fact, in other brain diseases such as amyotrophic lateral sclerosis (ALS), Alzheimer’s disease and multiple sclerosis (MS), glial cells are significant contributors to pathologic processes, with neurons being the targets of toxic or protective cell–cell interactions . Since our discovery that hypothalamic gliosis was associated with inflammation resulting from high-fat diet (HFD) feeding , the field has expanded quickly; many discoveries of new functions for non-neuronal cells in metabolic regulation have since been reported . In this review, we provide a brief synopsis of hypothalamic inflammation (reviewed extensively elsewhere [7, 8]), describe the basic glial cell types, highlight glial cell contributions to the physiological and pathological regulation of energy homeostasis, and discuss the translational implications of these findings. The hypothalamus is a ventral forebrain structure comprised of over ten discrete nuclei surrounding the third cerebral ventricle. It regulates many homeostatic functions including temperature, circadian rhythms, reproductive behaviour and energy balance. Its location and structure provide the unique capacity for both neural connectivity with other brain regions and hormonal output through a specialised vasculature shared with the pituitary gland. In addition, this anatomical arrangement allows subsets of neurons (largely within the arcuate nucleus of the mediobasal hypothalamus) to sense circulating indicators of energy availability including nutrients (e.g. glucose, fatty acids, amino acids), adiposity hormones (e.g. leptin, insulin) and appetite modulators (e.g. ghrelin, glucagon-like peptide 1 [GLP-1]) . Integrating these signals, the arcuate neurons adjust metabolic rate and feeding behaviour to maintain energy homeostasis. Since body weight stability depends on the fidelity of this system, there has been great interest in identifying factors that impair this function to reveal mechanisms underlying obesity pathogenesis. The discovery of inflammatory mediators in the hypothalamus of rodents in response to HFD feeding provided just such candidate factors that could disrupt energy homeostasis . Prior studies of peripheral metabolic tissues, such as liver and adipose tissue, have established that chronic low-grade inflammation resulting from dietary overconsumption interferes with insulin signalling [11, 12, 13], leading to a state of glucose intolerance. Similarly, hypothalamic inflammation in HFD-fed rodents (as well as non-human primates and other rodent models, including insulin-deficient and fructose-fed rats [5, 6, 14, 15, 16, 17, 18, 19]) provides an analogous mechanism to explain the impairment of energy balance with diet-induced obesity (DIO). Akin to peripheral tissue inflammation, HFD-induced hypothalamic inflammation triggers the activation of stress kinases, such as c-Jun N-terminal kinase (JNK) and the IκB kinase (IKK), that inhibit downstream mediators of the insulin and leptin pathways [10, 19]. This leptin/insulin resistance in critical hypothalamic neurons increases the homeostatic body weight set point, ultimately resulting in obesity . Since the initial description by De Souza et al , considerable evidence has accumulated for a functional contribution of hypothalamic inflammation to DIO susceptibility. First, hypothalamic inflammation develops within the first days of HFD exposure, prior to significant weight gain and concomitant with the onset of leptin resistance and upregulation of neuronal stress markers [5, 20]. Furthermore, mouse models with genetically diminished inflammatory signalling in hypothalamic neurons show reduced HFD-associated hyperphagia and weight gain as a consequence of preserved leptin and insulin sensitivity [19, 21]. Likewise, female C57BL6 mice are relatively resistant to both hypothalamic inflammation and HFD-induced obesity (Fig. 1) [18, 22]. Nevertheless, not all data are supportive of this causal relationship; a number of models (e.g. leptin-deficient ob/ob mice, chronic ghrelin-treated rats, food-restricted DIO rats) show dissociations between obesity susceptibility and hypothalamic inflammation status [23, 24, 25], suggesting that the connection between obesity and hypothalamic inflammation may depend on the interplay between a hyperenergetic environment, weight gain and neuroendocrine pathways, among other factors. Moreover, HFD feeding is associated with an accumulation of activated glial cells including astrocytes and microglia, similar to the obesity-associated tissue infiltration in the periphery by activated immune cells (primarily macrophages but also virtually all other leucocyte classes) [11, 12, 13]. Thus, as discussed below, determining the contributions of different glial cell types to energy balance will help clarify the role of hypothalamic inflammation in metabolic disease and potentially identify novel mechanisms underlying obesity pathogenesis. In 1906, the brilliant Spanish histopathologist Santiago Ramon y Cajal won the Nobel prize together with the Italian scientist Camillo Golgi for their research on mapping the nervous system, from which Cajal coined ‘The Neuron Doctrine’. This concept states that the nervous system is comprised of individual cells that are interconnected to provide the basis for its function. Cajal had also carefully documented the presence of an even more numerous population of unconnected cells (named ‘glia’ for glue by Rudolf Virchow in 1856). Like Virchow before him (and over 50 years of scientists after him), Cajal largely ignored these cells, viewing them only as providers of structural support for the central nervous system (CNS) or insulation for neuronal projections. With the early confirmation of these rudimentary properties, the study of glial cells lagged severely behind other areas of neuroscience for nearly a century after their discovery. Only in the past 20 years have we begun to recognise the full breadth and complexity of glial cells, which include astrocytes, microglia, tanycytes, polydendrocytes, and oligodendrocytes (Table 1). From synaptic formation and pruning, to neurovascular coupling and phagocytosis, glia play critical roles in CNS activity during development, health and disease . Until recently, however, most studies that focused on glia were restricted to use of cultured cells or descriptive analyses because of a lack of cell-specific tools. From the year 2000, research on glial biology moved into the functional era, with the development of the astrocyte-specific human glial fibrillary acidic protein (hGFAP)-Cre, and oligodendrocyte-specific myelin basic protein (Mbp)-Cre transgenic mice. Recently, this has been followed by the development of polydendrocyte (NG2, also known as CSPG4), tanycyte (Rax) and microglial (Cx3cr1)-expressing mouse lines (Table 1; reviewed in [27, 28, 29]). In addition, a number of sophisticated novel methods used to manipulate neuronal activity using light (optogenetics)  or designer drugs (chemogenetics)  have been adapted for glial experimentation. Importantly, the first experiments using these methods to study the role of glial cells in metabolism were reported in 2015 (see below) . With the availability of these new techniques and animal models, the past few years have seen remarkably rapid progress towards identifying and characterising the function of glial cells in energy homeostasis regulation and their potential contribution to the pathogenesis of obesity. The similarities between peripheral and hypothalamic inflammation during DIO suggested the possible involvement of CNS immune cells in mediating the inflammatory response, analogous to the role of macrophages in the periphery. Since the brain is an immune-privileged structure with a cell-impermeable barrier, immune surveillance and function must be maintained exclusively by CNS-specific cells called microglia (named by Cajal, based on their small size) . Microglia are unique among cells of the CNS because of their myeloid characteristics and distinct ontogeny. However, unlike peripheral myeloid cells, they originate and migrate from the yolk sac rather than bone marrow  and are locally renewed throughout adult life . In addition, these cells have a unique transcriptomic signature, expressing a number of immune-related genes such as the purinoreceptor P2y12, Tmem119 and Cx3cr1. These genes distinguish microglia from all other CNS cells and most monocytes/macrophages outside of the CNS . Microglia act as first responder cells to a variety of CNS insults, including pathogens, ischaemia and neuron injury. They are rapidly recruited to regions of damage or cell death where they proliferate in situ and convert from a surveillant, highly ramified morphology to an amoeboid activated form . Activated microglia perform phagocytic functions and produce proinflammatory mediators including cytokines, chemokines, reactive oxygen species and nitric oxide, together serving to neutralise threats and maintain a neuroprotective milieu. However, prolonged microglial activation may result in chronic inflammation that contributes to the progression of neurodegenerative and neoplastic diseases . As described previously, HFD feeding is associated with the onset of hypothalamic inflammation within 3 days of diet exposure . Over the same time frame, activated microglia accumulate in the mediobasal hypothalamus, possibly mediating the inflammatory response (Fig. 1a) . Consistent with this hypothesis, the expression of proinflammatory genes is increased in hypothalamic microglia extracted from mice exposed to HFD for periods of 3 days up to, at least, 3 months [6, 38]. Furthermore, ablation of microglia using in vivo administration of colony stimulating factor 1 receptor (CSF1R) antagonists eliminates hypothalamic inflammation and signs of neuronal stress (Fig. 1b) . Despite these findings, however, little is known about the role of microglia in metabolic regulation. Based on two reports using the microglial ablation mouse model, and a separate study using rats that had received a central infusion of the microglial-selective inhibitor minocycline, microglia do not make measurable contributions to body weight or food intake regulation under chow-fed conditions [6, 39, 40]. However, if the same microglia-depleted mice are gavage-fed with a saturated fat solution in addition to their regular chow, they reduce their ad libitum chow intake (Fig. 1b) , suggesting microglial activation may interfere with nutrient sensing by the hypothalamus. Overall, these initial studies imply the presence of signals (proinflammatory or otherwise) produced by activated microglia that modulate or impair neuronal regulation of energy homeostasis. Consistent with this view, Reis et al reported that microglia mediate the effect of the proinflammatory molecule, endotoxin (also known as lipopolysaccharide [LPS]), to alter neuronal activity of hypothalamic neurons . Efforts by our research group are currently underway to identify these molecular mediators of microglia–neuron crosstalk. As described above, microglia have a destructive potential that can promote neurotoxicity. To limit this possibility, neurons produce inhibitory factors such as the chemokine C-X3-C motif chemokine ligand 1 (CX3CL1, also known as fractalkine), which silences neighbouring microglia through its cognate inhibitory G-protein-coupled receptor (Gi-coupled receptor), C-X3-C motif chemokine receptor 1 (CX3CR1) (Table 1) [41, 42]. Accordingly, Cx3cr1 deletion in mice causes excess microglial activation and increased susceptibility to CNS inflammatory diseases . Surprisingly, however, mice with deficient CX3CL1–CX3CR1 signalling show largely unchanged metabolic variables or mild reductions in DIO susceptibility [44, 45, 46, 47, 48], perhaps due to peripheral, as well as central effects [36, 49, 50, 51, 52]. Alternatively, these results may reflect the exclusive focus on male mice, which develop HFD-induced microglial activation irrespective of CX3CR1 status [6, 18]. In contrast, female mice are relatively resistant to hypothalamic inflammation, microgliosis and DIO (Fig. 1c) [18, 22] and, therefore, may be sensitive to loss of CX3CR1. Indeed, we have found that female CX3CR1 knockout models lose their protection from DIO with ‘male-type’ inflammation and microglial activation in the hypothalamus (M. Dorfman, J. Douglass, J. Thaler, unpublished results; Fig. 1d). Future studies using microglial-specific targeting methods should help delineate the role of inflammatory signalling in the pathogenesis of obesity and clarify the metabolic function of microglial receptors with regards to body weight-regulating hormones, such as leptin, GLP-1 and oestrogen. Astrocytes are large, star-shaped glia that are broadly distributed throughout the CNS and considered its most abundant cell type. They perform many essential homeostatic roles in the brain, including regulation of synaptic transmission, maintenance of the blood–brain barrier (BBB), and fluid and ion homeostasis . The anatomical distribution of astrocytes places their processes in close proximity to the blood vessels that supply neurons, facilitating their ability to control the import of circulating hormones and metabolites, and to regulate neurovascular coupling. In the hypothalamus, this spatial relationship is particularly important for neuronal control of systemic glucose homeostasis. 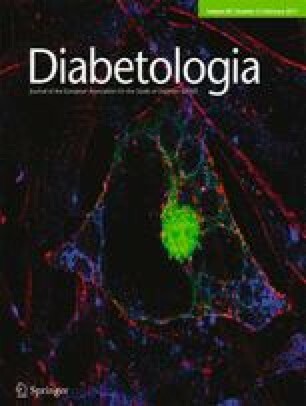 Notably, insulin receptor deletion in hypothalamic astrocytes reduces glucose and insulin uptake across the BBB, in turn impairing peripheral glucose tolerance . Thus, alterations to CNS metabolism, generated by the gatekeeper function of astrocytes, induce reciprocal changes in body fuel homeostasis. Astrocytes participate in synaptic activity, supplying energy substrates to neurons, secreting gliotransmitters (such as adenosine) and terminating signalling through glutamate reuptake (Fig. 2) . As part of their role of providing metabolic support to neurons, astrocytes possess the bulk of CNS glycogen stores and can mobilise this energy supply in response to decreases in local glucose levels [56, 57]. This local source of fuel in the form of lactate (Fig. 2) has been shown to be critical for neuronal function during hypoglycaemia  and periods of high synaptic activity [59, 60, 61, 62]. Moreover, astrocytes are also a primary source of CNS-derived ketone bodies (Fig. 2) and their production in the hypothalamus of HFD-fed rodents stimulates adjacent anorexigenic neurons to reduce energy intake [63, 64]. There is accumulating evidence that astrocytes modulate energy homeostasis under physiological conditions. Activation of hypothalamic astrocytes by leptin modifies connections with adjacent neurons [65, 66] (Fig. 2). Accordingly, deletion of the leptin receptor in astrocytes results in remodelling of the hypothalamic neuronal circuitry and diminished leptin-induced anorexia [67, 68, 69, 70], highlighting how interactions between the glial and neuronal network may affect the response to satiety cues. Other hormonal signals such as ghrelin and GLP-1 can also activate astrocytes, but more work is needed to firmly establish the in vivo significance of these findings [71, 72]. Finally, using Designer Receptors Exclusively Activated by Designer Drugs (DREADDs), a chemogenetic approach to modulate the activity of specific cells, Yang et al demonstrated that hypothalamic astrocytes suppress food intake via adenosine-mediated inhibition of the orexigenic Agouti-regulated protein (AgRP) neurons (Fig. 2) . However, a more recent study using the same DREADDs approach found the opposite result . This disparity in findings is possibly a result of the use of different methodological parameters. Thus, the contribution of astrocytes to feeding behaviour remains to be elucidated, along with the role of astrocyte signalling in long-term energy homeostasis. Like microglia, pathophysiological conditions, such as neuron injury, trauma and CNS infection, cause astrocyte activation, resulting in their proliferation, morphological transformation into enlarged cells with intermingled radial processes, and production of cytokines . As described above, these changes in astrocytes occur in the hypothalamus, alongside the accumulation of activated microglia, and persist into later obesity [5, 74, 75, 76]. Importantly, this astrocyte accumulation and activation is visible by MRI scanning, allowing for confirmation that a hypothalamic gliosis similar to that observed in rodent models also occurs in obese humans [5, 77, 78, 79]. Whether astrocytes actively promote hypothalamic inflammation and DIO, or whether they are responding to cues from other cells, such as microglia, is currently not known. In this regard, hypothalamic microglia have been proposed to respond first to HFD, producing mediators that cause neuronal stress and trigger astrocyte activation . Once activated, however, astrocytes may perpetuate DIO through a variety of mechanisms, including loss of BBB integrity , enhancement of diet reward properties in the mesolimbic system  and glial ensheathment of melanocortin synapses that are restructured by HFD intake . Surprisingly, however, inhibition of astrocyte inflammatory signalling has only minimal effects on DIO, paradoxically potentiating the early hyperphagic response to HFD . These data are consistent with the possibility that astrocytic inflammation initially serves as an adaptive response to HFD feeding, limiting neuronal stress and restraining energy intake. With sustained HFD exposure, however, the prolonged gliosis (both microglial and astrocytic) likely promotes neuronal dysfunction and DIO, consistent with its role in a variety of CNS diseases . Tanycytes are specialised ependymal cells found in the lateral walls and floor of the third ventricle. They can be classified into alpha and beta subtypes, each with regional and potentially functional differences [29, 83]. These elongated glial cells simultaneously serve as barrier and conduit cells, with one side of the cell being in contact with the cerebral spinal fluid (CSF) and peripheral circulation through fenestrated capillaries, and the other side being in contact with the hypothalamic parenchyma (Fig. 3a). Thus, tanycytes are ideally positioned to sense and transport nutrients and hormones into the brain, and influence the activity of hypothalamic neurons that regulate energy homeostasis. Tanycytes are thought to participate in CNS glucoregulation, partly because of their ability to import glucose across the third ventricle and BBB via GLUT1 transporters on their end-feet (Fig. 3a) . Further, tanycytes may act as glucose sensors via low-affinity GLUT2 receptors and glucokinase [85, 86], relaying signals to critical glucose-responsive neurons in the hypothalamic arcuate (ARC) and the ventromedial nucleus (VMN) through lactate release . Interestingly, tanycytes also participate in the metabolic adaptation to fasting, allowing increased access of circulating nutrients and hormones into the hypothalamic parenchyma to regulate refeeding hyperphagia (Fig. 3a) . This gatekeeping function has been recently demonstrated to regulate the uptake of leptin into the hypothalamus through the expression of the leptin receptor on tanycytes of the median eminence (Fig. 3a) . Similarly, it is proposed that tanycytes may regulate transport of other metabolic hormones, though further studies are needed to confirm this. In addition to these gatekeeping functions, alpha and beta tanycytes are also considered a key source of stem cells in the adult hypothalamus (Fig. 3a) [90, 91]. Interestingly, beta-2 tanycyte neurogenesis in the median eminence is increased with HFD exposure . Moreover, selective inhibition of this process using targeted radiation blunted weight gain in HFD-fed mice, implicating a role for tanycyte proliferation in obesity . However, in light of the evidence from mice and human-based studies, that hypothalamic irradiation generally results in hypometabolism and obesity [39, 92], more studies are required to determine whether tanycytes play a causal role in DIO. Polydendrocytes are a recently discovered class of glia that are potentially involved in the hypothalamic control of energy homeostasis. They are characterised by their expression of the nerve/glia antigen 2 (NG2) chondroitin sulphate proteoglycan  and are hence also known as NG2 glia (or oligodendrocyte precursor cells [OPC]). These large stellate cells with extensive processes are distributed throughout the CNS. Similar to astrocytes, NG2 glia make contact with neurons and are involved in synaptic transmission, likely via their expression of ion channels and neurotransmitter receptors . NG2 glia are self-renewing and comprise a significant fraction of dividing cells in the adult human brain [95, 96]. These cells are multipotent progenitors , giving rise to new oligodendrocytes (the myelinating glia of the CNS) and neurons . While there have been no reports of mature oligodendrocyte contributions to energy homeostasis, a recently published analysis of NG2 glial function in metabolism has revealed an important role in leptin signalling (Fig. 3b) . This study demonstrated that genetic- or irradiation-induced ablation of hypothalamic NG2 glia causes profound obesity in mice, resulting from the degeneration of dendrites from leptin receptor-expressing neurons that extend into the median eminence . Though the mechanisms remain unclear, hypothalamic NG2 glia appear to modulate energy homeostasis both by maintaining the BBB through their proliferative ability, and by preserving neuronal processes that sense leptin and other peripheral energy signals. Furthermore, destruction of NG2 glia may be responsible for hypothalamic dysfunction and weight gain in patients who undergo cancer chemotherapy and cranial irradiation . However, their role in common obesity remains undefined. Recent clinical studies have begun to delineate the impact of diet and obesity on the human brain. Broadly, radiologic evidence suggests that obesity is associated with structural alterations to grey and white matter within multiple brain regions that are involved in feeding behaviour and energy homeostasis [99, 100, 101, 102, 103]. Moreover, obese patients appear to have reduced integrity of vital brain circuits, correlating with levels of peripheral inflammation and cognitive dysfunction. These findings suggest that an anatomical mechanism may link increased adiposity with CNS impairment [104, 105]. In contrast to their more established role in neurodegenerative disorders, glial cells have not been extensively studied in the pathophysiology of human obesity. Direct comparisons between murine and human glia, particularly microglia and astrocytes, have revealed species-specific differences in morphology and gene expression, but conservation of most biological functions [106, 107]. These observed differences may have potential significance, as was recently demonstrated by a study involving human astrocyte transplantation into the mouse brain, which resulted in chimeric mice that demonstrated marked improvements in synaptic plasticity and, consequently, superior overall learning capacity . Similar investigations into intra-species differences in the role of glial cells in energy homeostasis remain to be conducted. However, there is indirect evidence supporting glial cell involvement in obesity-associated hypothalamic inflammation in humans; in 2012, we reported a retrospective quantitative analysis of T2-weighted magnetic resonance images obtained from lean and obese human participants. Remarkably, there was a positive correlation between patient BMI and gliosis within the mediobasal hypothalamus . This radiologic approach paired with immunohistochemical analyses was later applied to mouse models of DIO, demonstrating that the observed changes in T2 signal correlated with histology-confirmed gliosis and were consistent between rodents and humans [77, 78]. Most recently, a prospective T2-weighted MRI study demonstrated that the degree of hypothalamic gliosis was predictive of BMI and insulin resistance in healthy human participants . Collectively, these findings suggest that hypothalamic gliosis may be functionally linked to obesity in humans and could impact on obesity-related disorders, such as type 2 diabetes and cognitive impairment. Despite decades of work on the pathogenesis of obesity, the mechanisms underlying this disease remain elusive. Neurons clearly govern the regulation of energy homeostasis and are obligatory participants in the metabolic changes that result in obesity, but there is new-found interest in the contributions of glia to these processes. Since the initial discovery of HFD-induced hypothalamic inflammation, and its later connection to gliosis, the pace of glial studies has accelerated greatly, revealing glial involvement in many aspects of metabolic physiology and pathophysiology. With the new neuroscience tools that have been developed over recent years and adapted for glial research, major advances towards answering the many remaining questions in this research area are imminent. For example, is the gliosis that is associated with HFD feeding strictly pathological or does it represent an adaptive response to environmentally induced neuronal stress? What dietary components drive glial activation during DIO (or are there non-dietary factors involved)? What are the molecular signals produced by glia that alter neuronal activity and the regulation of energy balance? How do tanycytes and NG2 glia contribute to DIO? Is modulation of glial cell function an effective approach for the treatment of obesity? In the coming years, the answers to these and other questions should position glia alongside neurons as equal (rather than silent) partners in energy homeostasis and obesity pathogenesis. This work was supported by a National Institute of Diabetes and Digestive and Kidney Diseases (NIDDK) postdoctoral fellowship (F32 DK108473) to JDD; a Pilot and Feasibility Award provided by the Nutrition Obesity Research Center (NORC; P30 DK035816) and an American Heart Association (AHA) Scientist Development Grant to MDD; and an American Diabetes Association (ADA) Pathway to Stop Diabetes Grant (1-14-ACE-51) to JPT. In addition, services and support were provided by NORC (DK035816) and the Diabetes Research Center (DK017047) at the University of Washington.